In 2015 Heiniger released the updated Progress horse clipper. With the new electronic board and motor protection technology the Progress is still one of the most modern clippers on the market today. The design of this clipper was very much with the operator in mind in that many (most) people that clip are female and do not necessarily have large hands. The Progress is ultra light weight and very compact in its design. It has a very slim grip (16.5 cm around) and the head is set at 13 degrees to the handle which gives the operator a more comfortable clipping position. The handle has a rubber grip coating, and the power switch does not interfere with your hand position. The Progress uses a modern 80 watt permanent magnet motor that provides plenty of power and yet is low noise and vibration. The permanent magnet motor means there are less moving parts, which creates less friction, heat and wear. It also allows the clipper to speed up when it is under strain to cope with the increased workload. The oversized tension control gives ease of use and accurate tensioning. 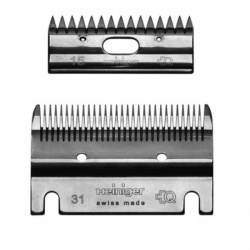 The Progress clipper takes all the standard Heiniger blades. 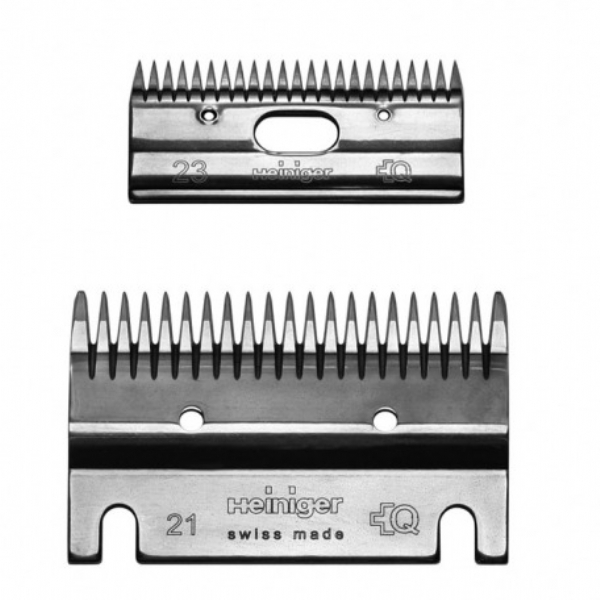 Because of its high power, low weight and slim grip the Progress clipper is idea for ladies that have 2/3 horses to clip on a regular basis. 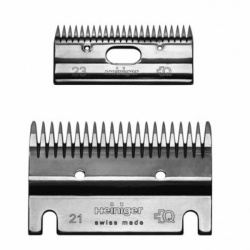 A full range of additional blades are available for this clipper - most popular are the Heiniger fine blades or an extra set of medium blades. 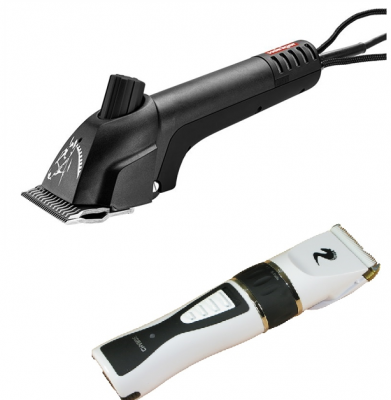 Not just excellent value for money, but a trimmer with brilliant features too. The Sierra is light and very comfortable to hold, a truly useful addition to anyone's grooming equipment. Both the shape and size of the Sierra ensures it can reach into ears, jaw lines and fetlock areas, everywhere that your horse clippers won't. The adjustable blade allows you to switch effortlessly between cut lengths. 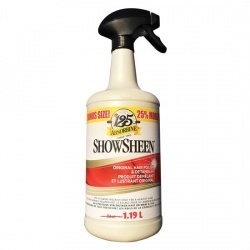 The Sierra will trim the coats to lengths as short as 0.8mm and leave the coat as long as 2mm. 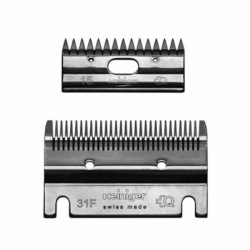 Perfect for blending clip lines particularly on the head and on the legs below the knee. The variable cut length will ensure that you can trim areas to the same coat length as achieved by your horse clippers too, leaving a clean professional finish. Complete with two batteries each with a clip time of approximately 90 minutes, you will have plenty of time to achieve the professional clip results you're looking for. 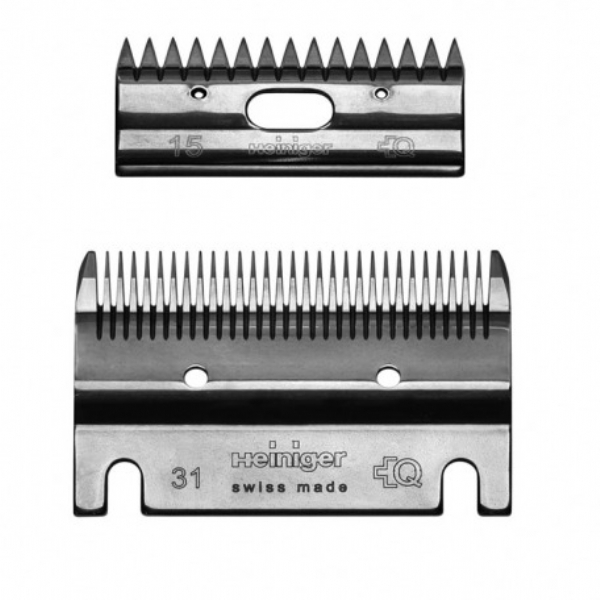 We say: Heiniger is known for it's quality and the Progress Clipper is a great starter clipper for those with small hands. It is very quiet, comfortable to hold and does a great job.